There is a lot you can tell about the shoes a lady wears. What does my shoes say about me? Well, of course my leather Chuck Taylors from Urban Outfitters says I am a great person to be around! If you are a quiet person, well that’s just too bad because I get paid to talk so good luck on getting me to shut up. 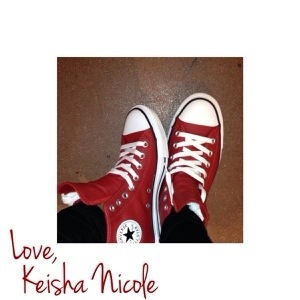 I have a very vibrant, outgoing personality and I think my red chucks express just that. What does your shoes say about you? ← What’s In Keisha’s Make-Up Bag? Take A Look.